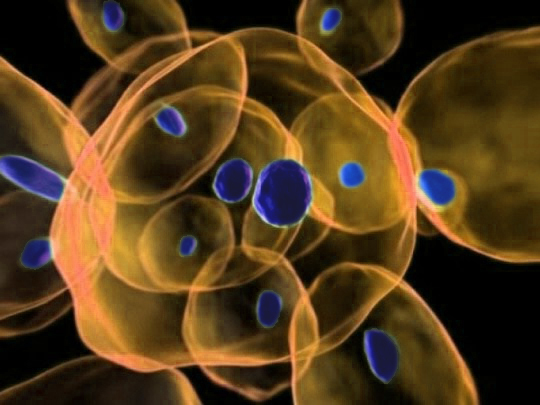 Mesenchymal stem cells (MSCs) are multipotent cells found in certain tissues, such as the bone marrow and fat. They have the capacity to differentiate into certain cell types, including osteoblasts (bone cells), myocytes (muscle cells), adipocytes (fat cells), and chondrocytes (cartilage cells). Given their multipotency, MSCs are a valuable tool in the development of therapeutic interventions for diseases like arthritis, multiple sclerosis, and other inflammatory conditions. Chondrocytes are responsible for producing cartilage, which is composed of collagen and proteoglycans. Collagen is a protein found in connective tissue throughout the body that helps support tissue structure. Proteoglycans are important components of the extracellular matrix, and within cartilage, proteoglycans retain water, allowing cartilage tissue to resist compression forces. Within joints, this characteristic is critical to provide a buffering cushion between bones. Lifeline® MSCs are optimized for growth in the undifferentiated state in StemLife™ medium and can be induced to differentiate into adipocytes (AdipoLife™ medium), chrondrocytes (ChondroLife™ medium), or osteocytes (OsteoLife™ medium) upon growth in the respective medium. Osteoarthritis is caused by a breakdown of cartilage in the joints, which normally provides a buffer between bones. Osteoarthritis affects millions of people in the US and costs billions of dollars in healthcare expenses every year. Surgical treatments for osteoarthritis have a mixed response rate, leading to increased interest in development of cell therapy and tissue engineering approaches to repair and regenerate cartilage in patients. Attempts to establish such a therapy using chondrocytes or MSCs have progressed, but a cell-based therapy that produces an effective amount of healthy cartilage is currently lacking. To improve upon the process, Dr. Christiansen-Weber and colleagues decided to rethink the popular methods of in vitro cartilage production. Instead of focusing on collagen, they focused on improving the support of developing cartilage by adding certain sugars needed for the generation of proteoglycans (critical components that support healthy cartilage). They hypothesized that addition of such sugars to the medium of differentiating MSCs would stimulate more efficient production of functional cartilage. To this end, the researchers utilized Lifeline® normal human MSCs (derived from adipose tissue) cultured in a 3D alginate matrix in chondrogenic medium to stimulate differentiation into chondrocytes. Next, they tested different combinations of supplemental sugars to determine the combination that best stimulated cartilage production. Their final formulation included epidermal growth factor (EGF), glucuronic acid, galactose, and hyaluronic acid (HA). Compared to a commercially available formulation, the formulation developed by the authors resulted in production of a denser network of proteoglycans, confirmed using Alcian Blue staining. Their supplemental sugar medium formulation also increased deposition of Collagen II and Aggrecan, illustrating a complete cartilage matrix. Importantly, their results were augmented by the addition of serum to the media. Together, the results of this study demonstrate that in vitro cartilage production can be enhanced with the addition of serum and sugar components that stimulate the assembly of proteoglycans. How have you used our MSCs in your research? Let us know and your study could be featured here on the blog!